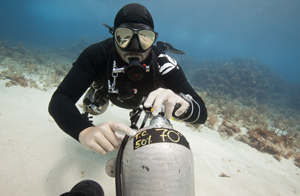 During your PADI Gas Blender course your instructor is going to have you blend your own nitrox and dive it. You will learn two types of blending, continuous flow, and partial pressure blending. You will get hands on experience cleaning and rebuilding a dive rite first stage and second.